It is a legitimate need of our organisation to hold your data, a) in order that we can benefit you and the wider community by contacting you and keeping you informed about our activities, and/or b) if you are a Sustainable Wallingford member, to communicate with you about your membership and the activities of the organization. You have given your consent for us to hold your data so we can communicate with you. We have designated people in our Management Group whose job it is to keep your data safe; to enhance security, access to your data is password protected.Your information will not be passed on without your permission to anyone other than Management Group members or other trusted Sustainable Wallingford members whose role in the organization requires them to have access to it. We will use this information to send newsletters, news of events and activities, learning opportunities and membership renewal reminders.We may mention partner organisations if they are working with us, or tell you what is going on with other organisations who carry out projects and events along similar lines to our own, but we will not pass your information to these organizations without your consent. You have the right to have the data we hold about you removed from our system at any time by contacting us and making this request. The website does use some cookies. These are used to ensure proper running of the site, and also to help us improve your experience when browsing. We do not use third party, tracking or advertising cookies. The cookies we use are listed in the table below. 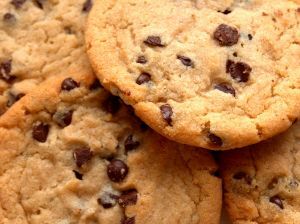 BBC WebWise article on What are cookies?